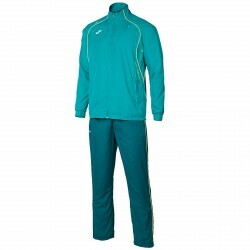 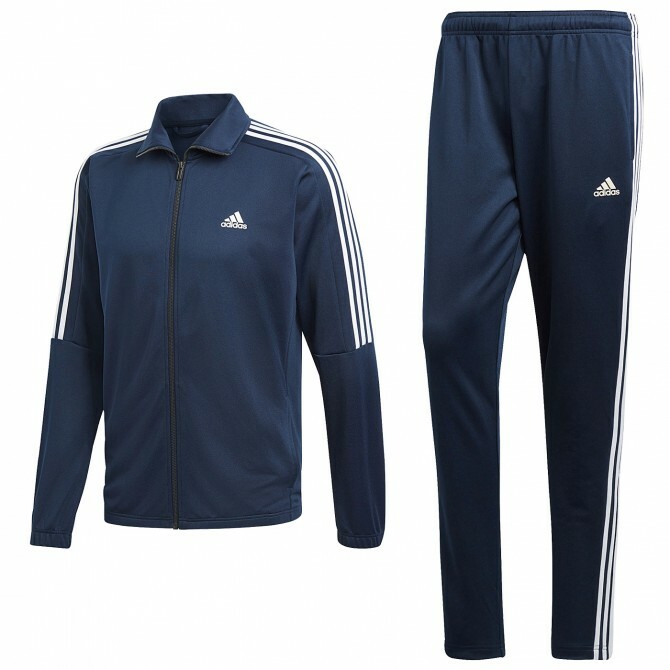 Track suit Adidas Tiro Man made of polyester. 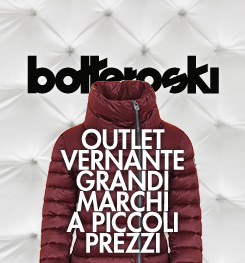 Jacket with side seam pockets, full zip with stand-up collar, elastic cuffs and hem, 3-Stripes on sleeves, brandmark on left chest. 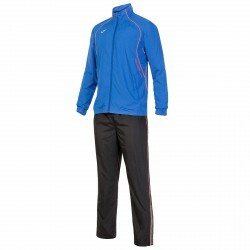 Pants with front pockets, drawcord on elastic waist, printed brandmark on left leg, ankle zips.